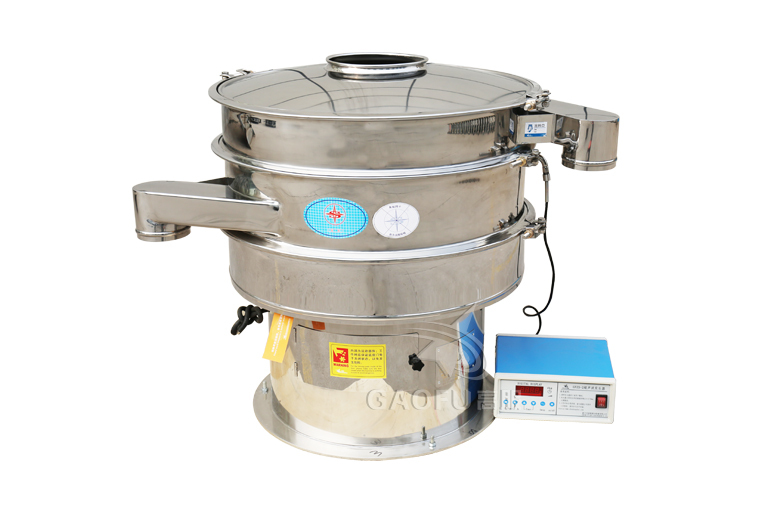 Gaofu company combined with ultrasonic and vibrating sieve in 2006, developed the ultrasonic vibration sieve and got patented, to solve the screening difficulty of strong adsorption materials. Really solve the screening problems of the characteristics material of strong adsorption, adhesion, sticky, high static, high density, ultrafine powder, etc. Screening accuracy can be increased more than 80%, capacity increased by 2 to 5 times. The ultrasonic vibrating screen eliminates the pollution and wear caused by the conventional screening method on the powder and greatly reduces the noise of the machine. Ultrasonic vibrating screen keep the screen mesh size, screening accuracy stably, reducing the number of repeated screening. The electric power of 220V and 50Hz is converted into 36KHz mechanical vibration, so as to achieve the purpose of efficient screening and cleaning the mesh, which make the ultra-fine powder screening to be easy. Ultrasonic vibrating screen change 220V, 50Hz or 110V, 60Hz electrical energy into 36KHz high-frequency electrical energy, then input ultrasonic transducer, it will become 36KHz mechanical vibration, the power of the ultrasonic wave make the screen with high-frequency vibration. 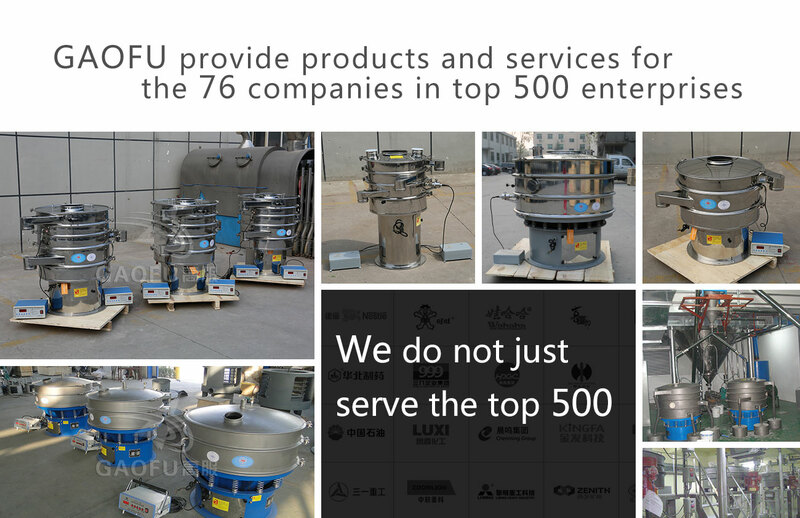 When the materials vibration with low-frequency , superimposed on the ultrasonic vibration, screen mesh can prevent clogging, but also to improve the output and quality screening, to achieve the purpose of efficient screening and cleaning screen surface, ultra-fine powder is easy to sieve. The system introduces a low-amplitude and high-frequency ultrasonic vibration wave (mechanical wave) on the screen based on the traditional vibrating screen to improve the screening performance of the ultrafine particles. Particularly suitable for high value-added fine split users.